October Calstars seem a bit risky as far as the weather is concerned, but this time was OK. The first (Thursday) night had some clouds and high humidity, but the conditions improved over the next two nights. 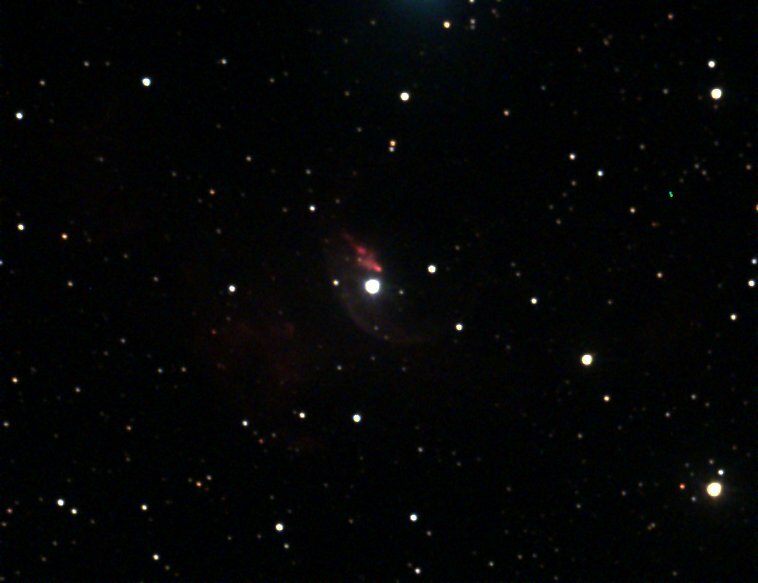 We got some good images but fewer than we'd hoped, due to a problem with the new mount. For some reason the battery power started to drain very quickly. 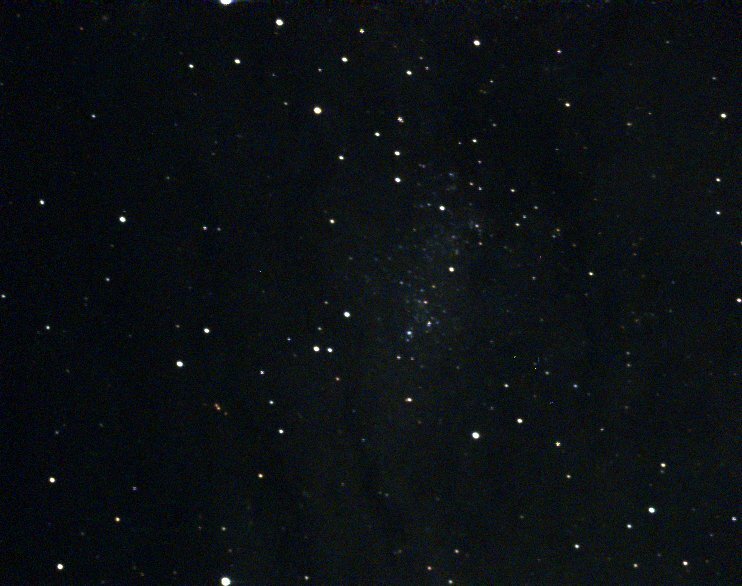 On the last night we were only able to run the mount for an hour or so. The Andromeda Galaxy has two companions that appear prominently in many photographs, M32 (NGC 221) and NGC 205, shown here. 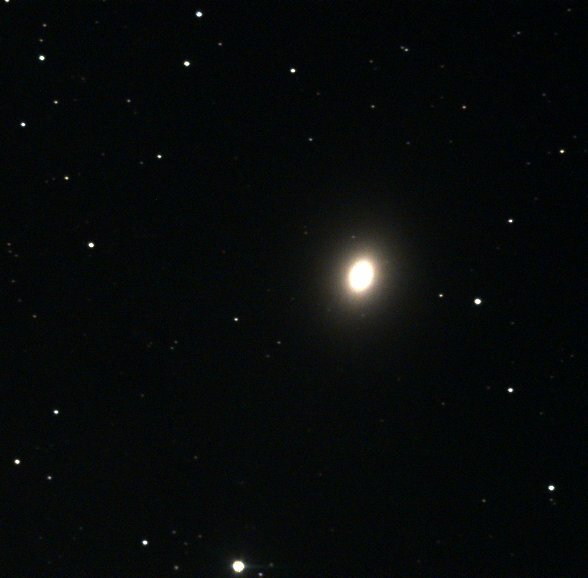 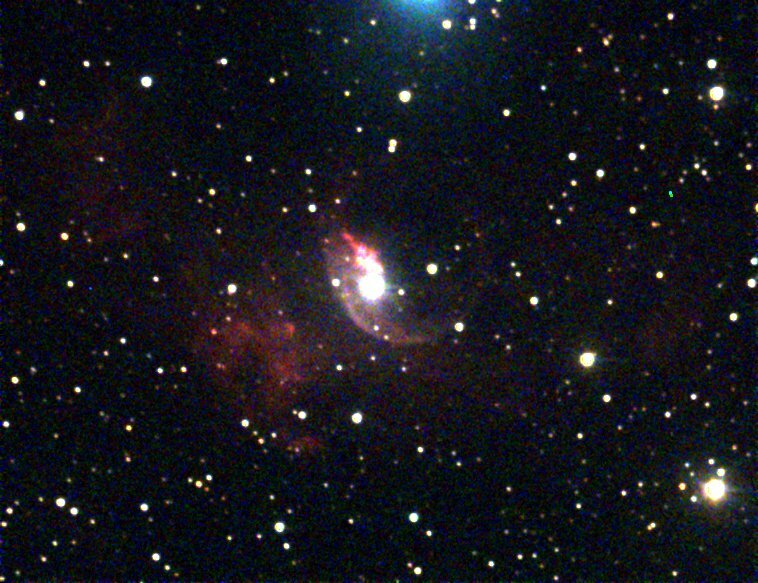 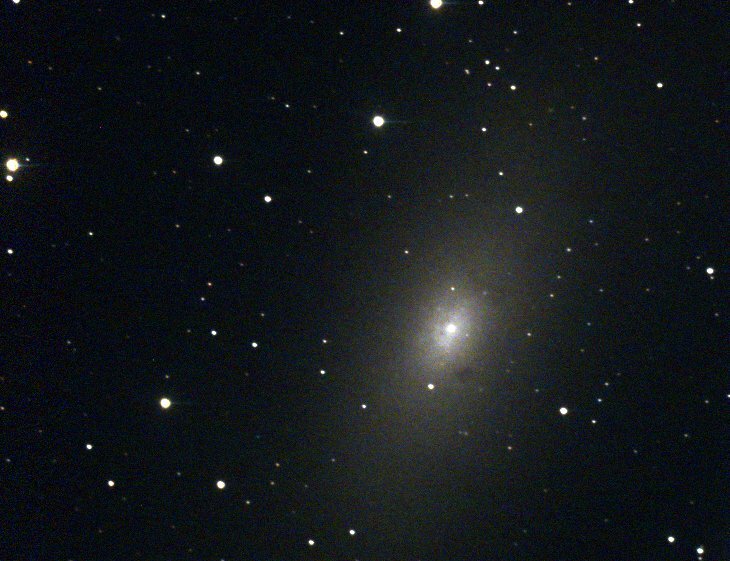 NGC 205 is the more distant (from M31) of the two. 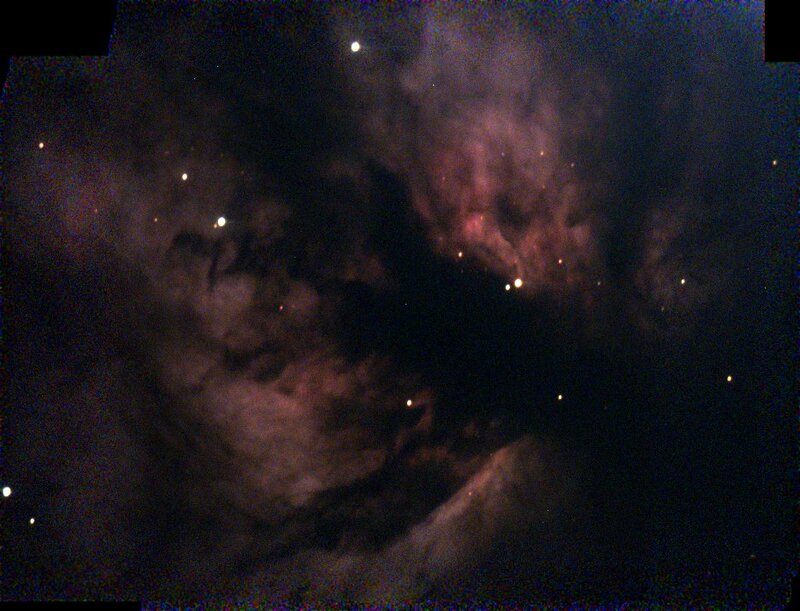 Notice the bright, star-like nucleus, and the dust clouds. 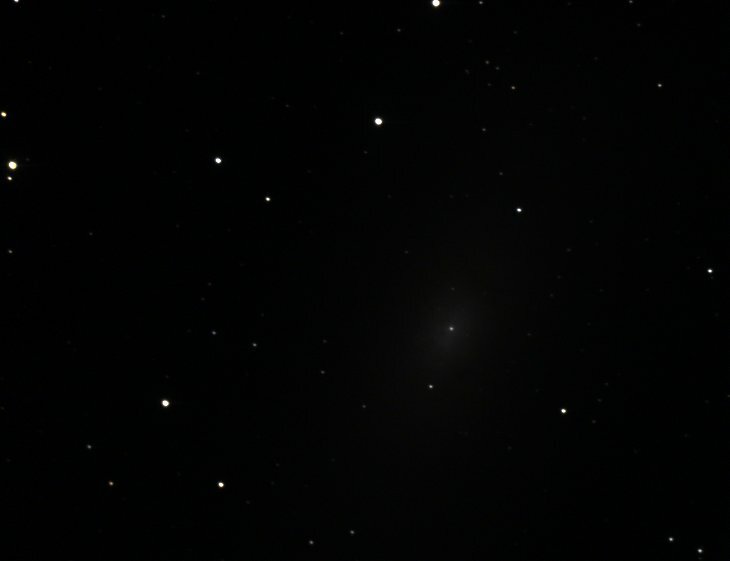 M32 (NGC 221) is the closest and brightest of the satellites of M31. This galaxy appears highly concentrated, with an extremely bright star-like nucleus. 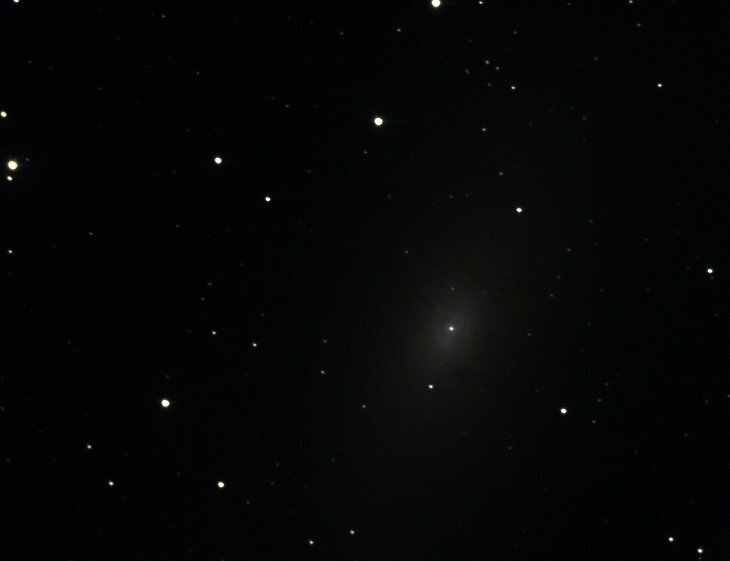 In these images it appears that M32 has a nucleus even brighter than that of M31. 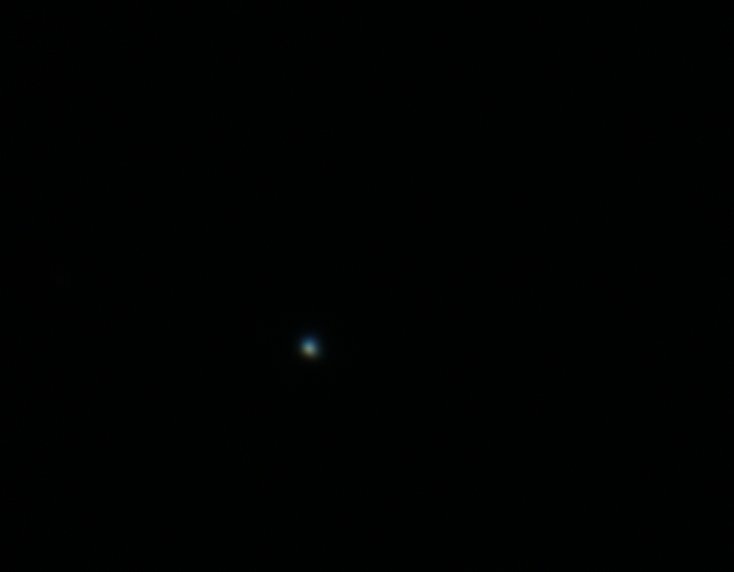 Neptune's apparent diameter is approximately 2.3 arc seconds, which is on the edge of what can be resolved here.  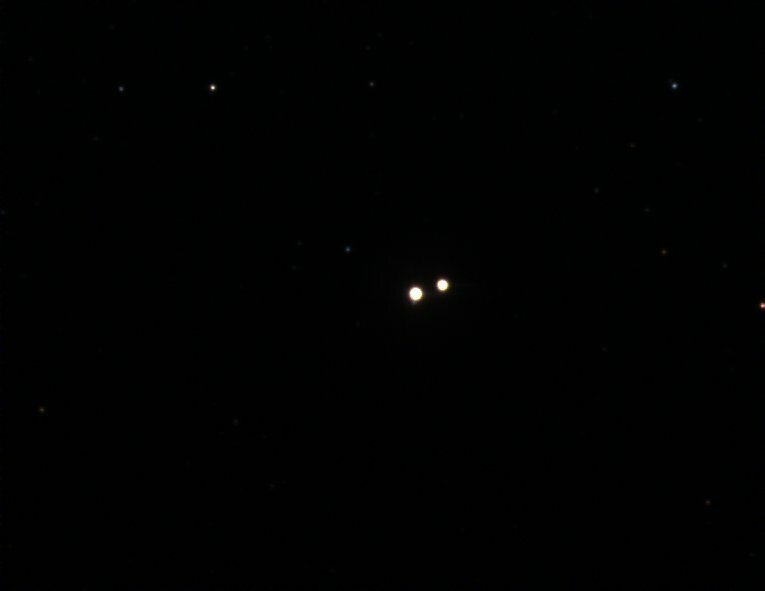 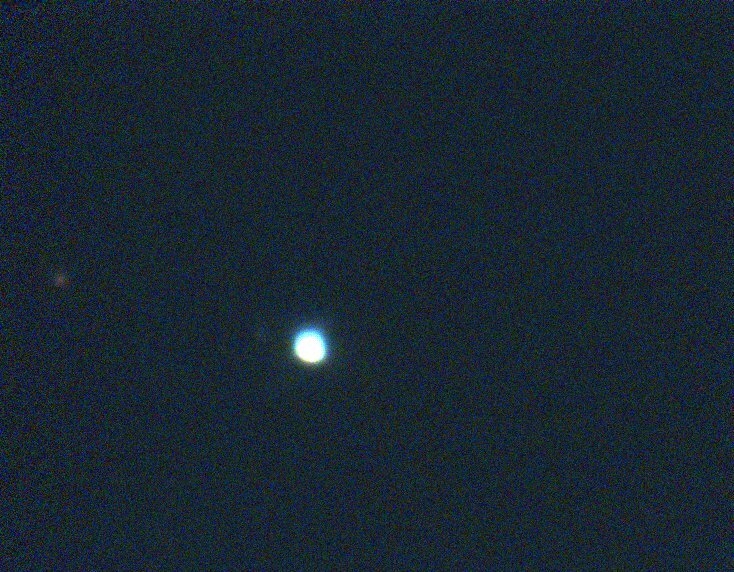 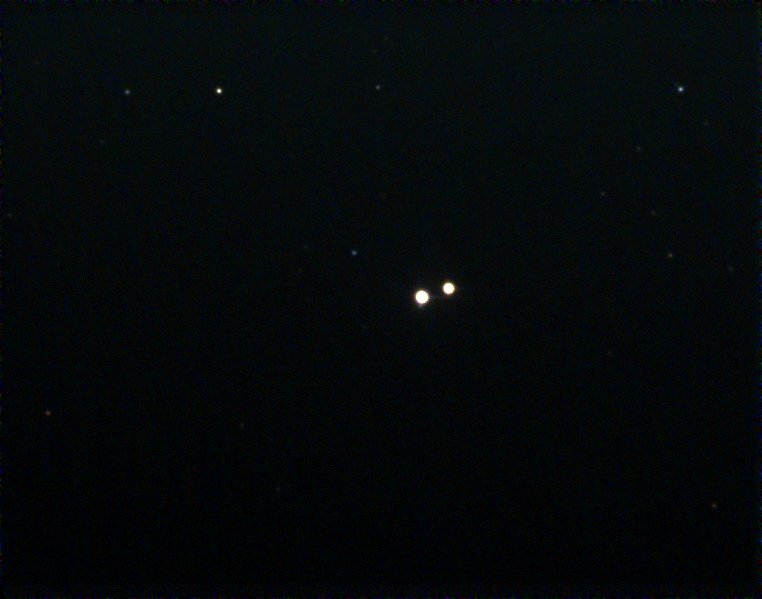 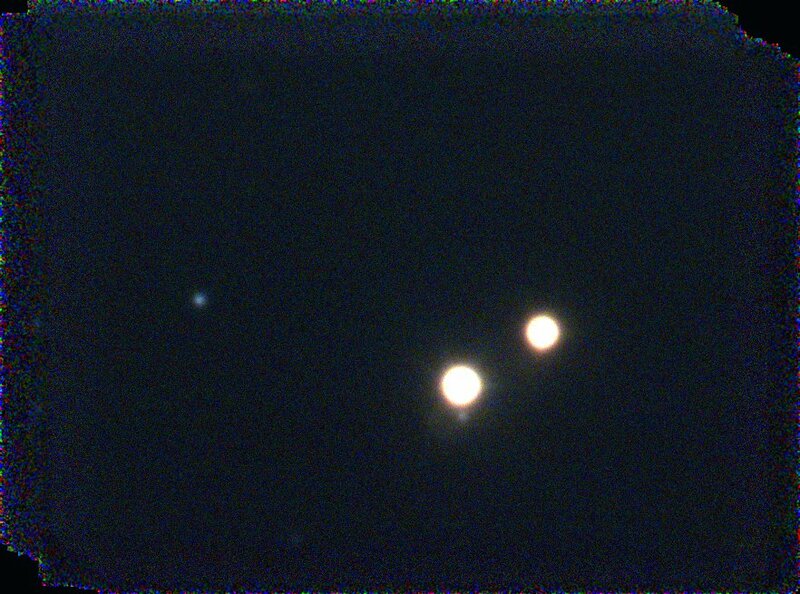 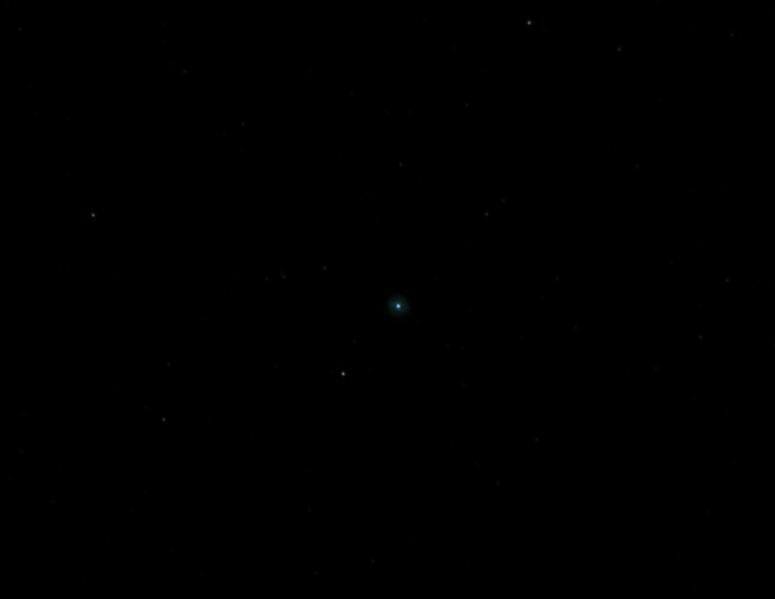 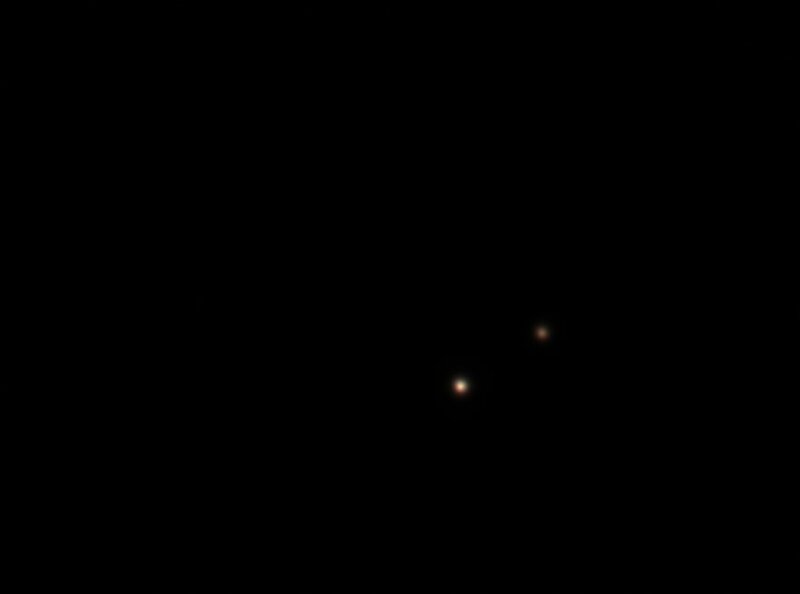 The faint object at 9:30 could be Triton, but I'm not sure. 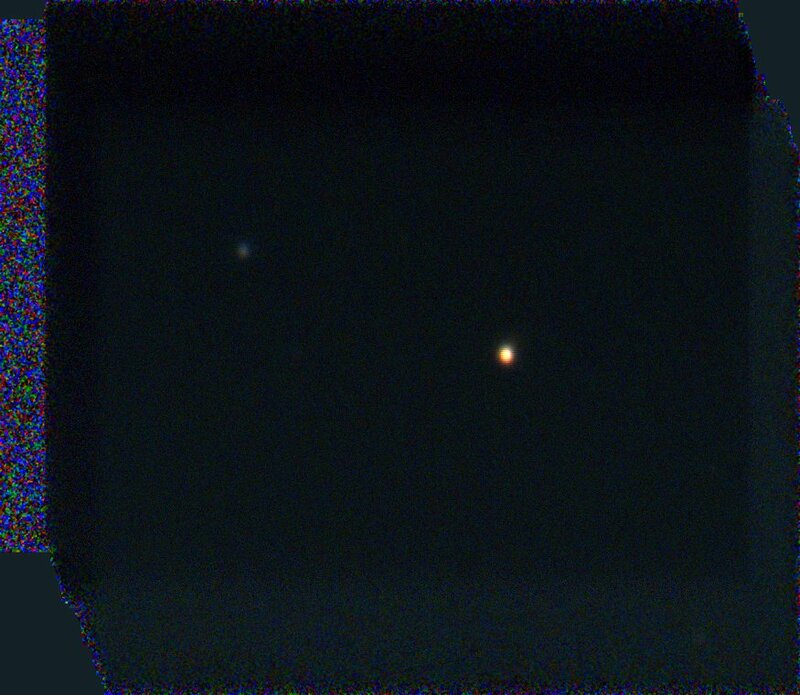 We picked this target because the RASC Observer's Handbook described it as an 'unusual red planetary,' and it didn't disappoint! 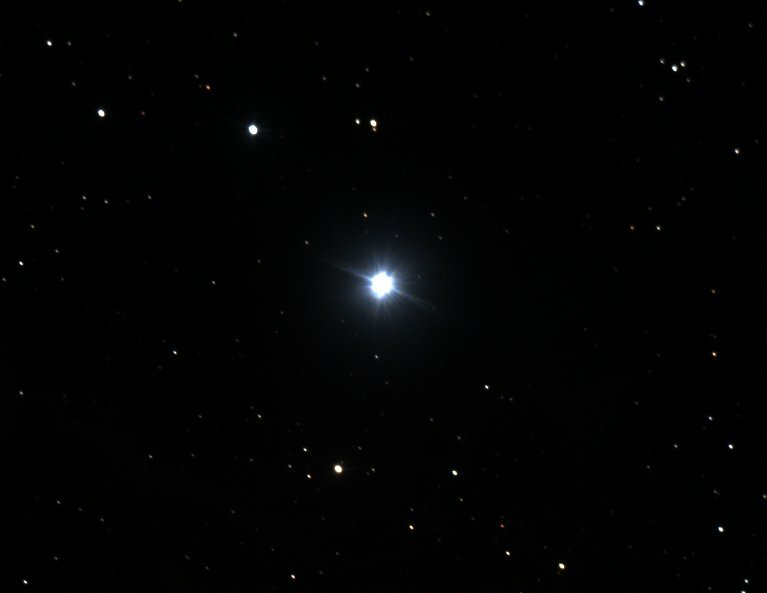 Like many planetaries, the central star appears blue. 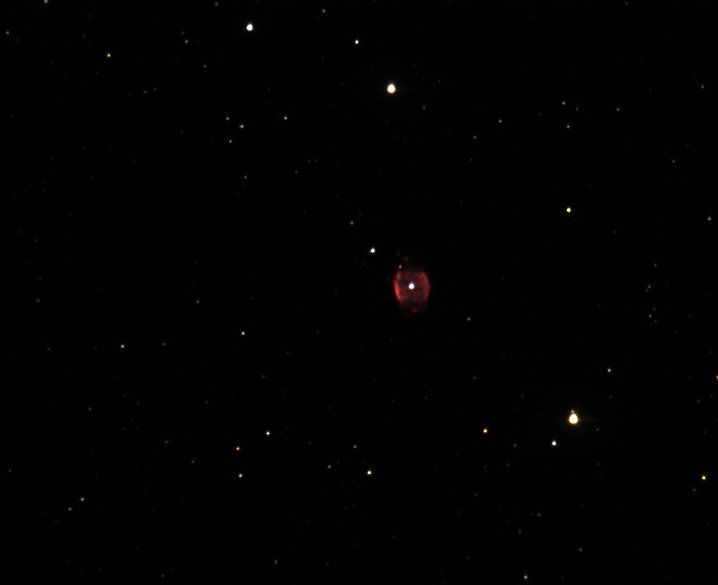 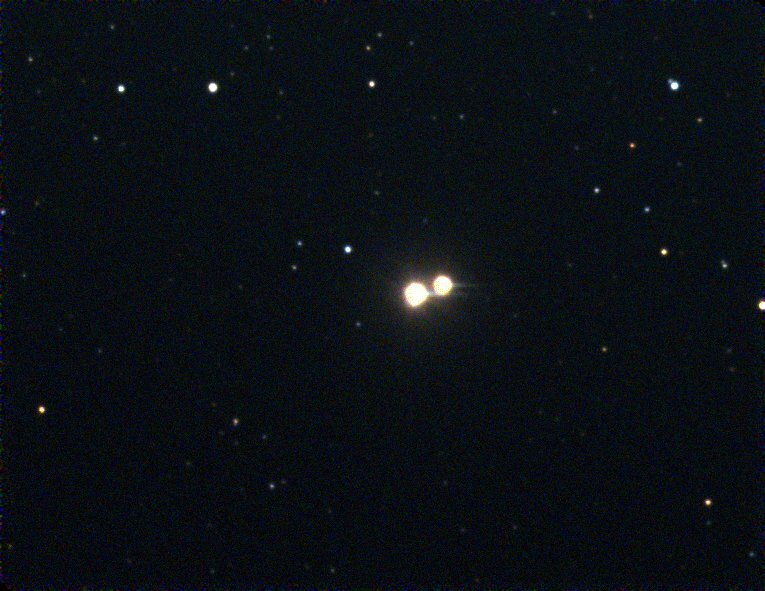 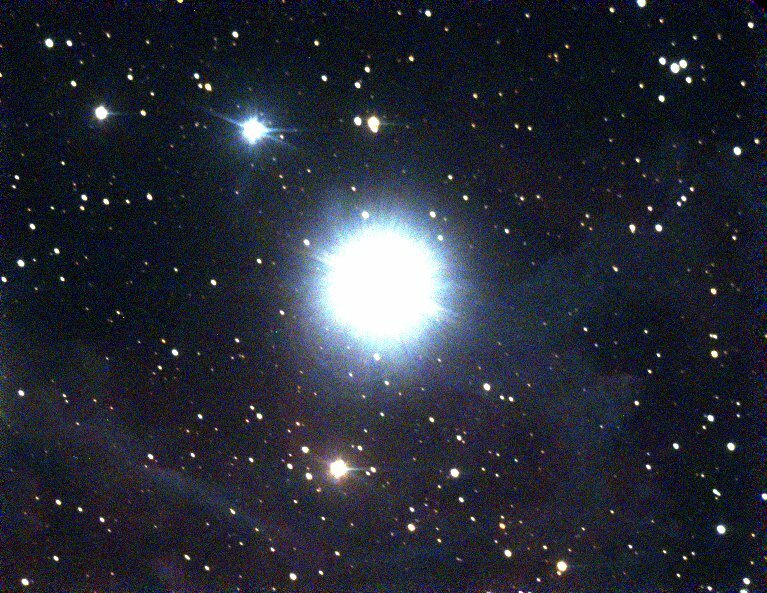 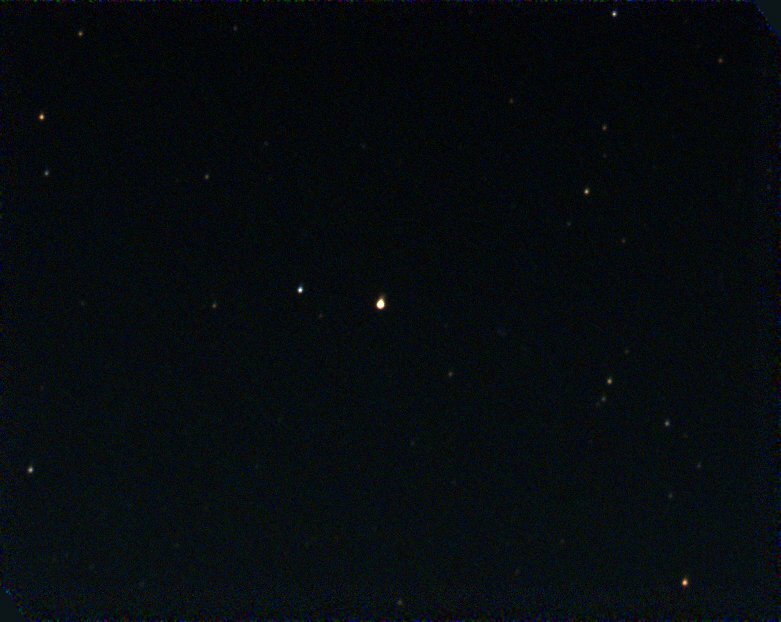 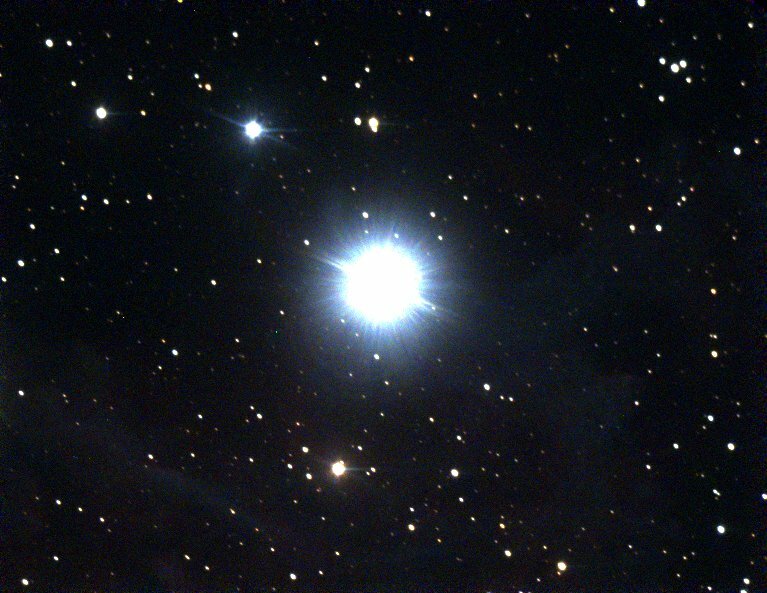 Visually, when looking directly at this object you will mainly see the bright central star, but if you look off-center through the eyepiece, the surrounding nebula appears brighter. 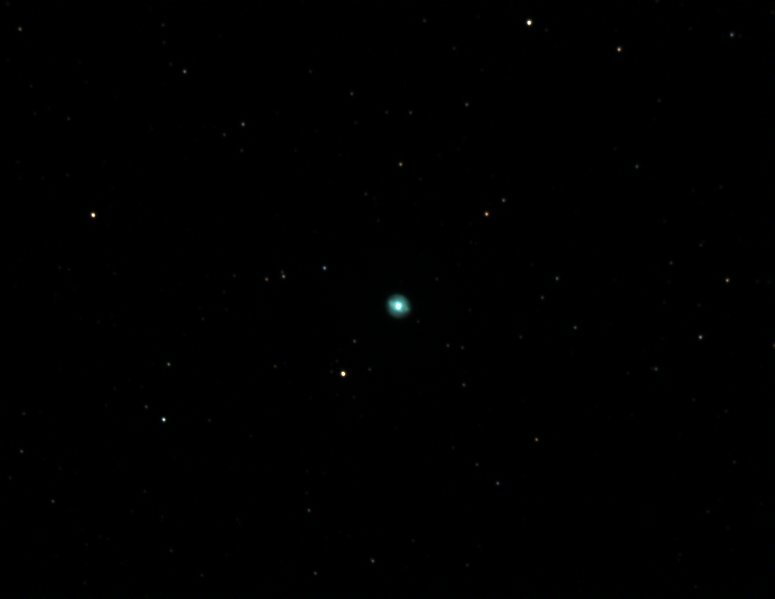 Unfortunately we only got 4 frames before the battery died again. We'll have to try this one again next time.